A steering wheel is the main link between a driver and the vehicle and quite often is the first thing to indicate whether something is wrong. 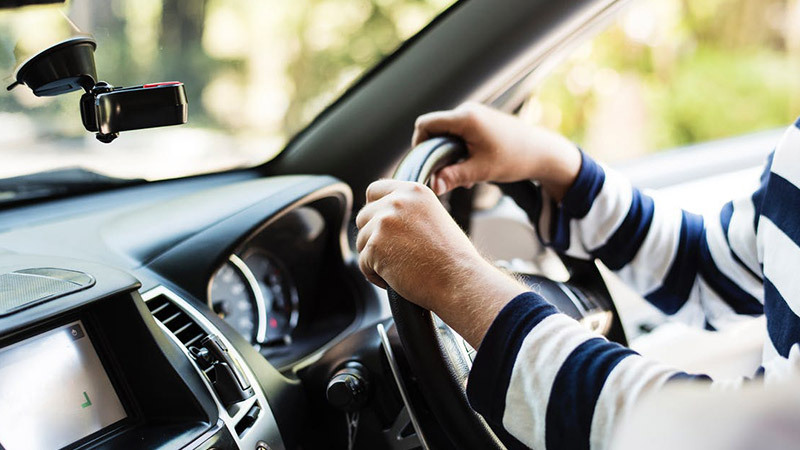 Whilst all vehicles will feel the occasional tremble, if your steering wheel is shaking or vibrating regularly it could be a sign of a deeper issue. Here are five common reasons why your steering wheel is vibrating or shaking when you drive. Driving on rough roads, over potholes or hitting a curb is a simple way to push a vehicle’s wheels out of alignment. When your wheel alignment is out, it causes your tyres to wear unevenly resulting in steering wheel shake or shudder. The best way to pinpoint whether this is the issue is to have your wheel alignment checked by a professional. A steering wheel that shakes whilst driving at moderate to high speeds (instead of shaking when braking) may indicate that your tyres are unbalanced. All tyres are balanced (meaning the weight distribution of the tyre/wheel unit is evenly distributed) but, over time, the weights used to create a balanced unit can fall off and affect the smoothness of your drive. Steering wheel shake could also indicate a worn tyre – something that can be visually observed. A worn tyre can cause an uneven ride and a shaking steering wheel, but also be the cause of road noises while you drive. The brake caliper houses the brake pads and pistons (that push the pads against the brake rotors), and if the caliper is faulty and does not disengage the brake pads properly the result can be steering wheel shake, as well as a burning odour. Any concerns about your braking system should be investigated by a professional immediately. One of the most common reasons for a steering wheel to shake comes down to warped brake rotors. Warped rotors are caused by overheating and cause a shudder when you apply the brakes. An expert can inspect your brake rotors and best determine whether a replacement is required. There are many other front-end components which can wear out over time and may be responsible for steering wheel shaking. These can include components such as bushes, the control arms, suspension and more. A shaking steering wheel may simply mean that your tyres are unbalanced, or you have a worn component within your vehicle, but it can also signify a much deeper issue like a dysfunctional braking system. Early detection is crucial, and if you are experiencing a shaking steering wheel, the issue should be taken seriously and dealt with as a priority.